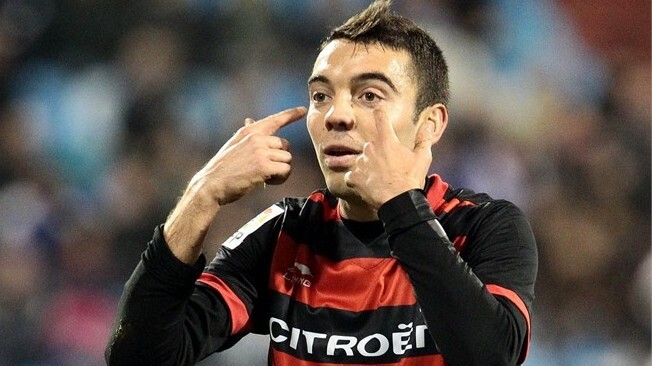 Liverpool have this evening agreed a fee of around £7 million for Celta Vigo striker Iago Aspas. The 25-year old striker has been in superb form this season, contributing to his performances with 11 goals in La Liga, along with the 29 goals in the Spanish second tier the year before as he helped his current club gain promotion. Celta are flirting dangerously with relegation with one game of the current campaign to go, and he will fly to Merseyside on Sunday, after playing his final game for the club against Espanyol to discuss personal terms and undergo a medical. The tireless forward has been linked with moves to the Premier League previously with Swansea City and Reading during the January transfer window, and he will compete for a starting spot at Anfield with Luiz Suarez, Daniel Sturridge and Fabio Borini. He becomes manager Brendan Rodgers second signing of the summer, after they announced experienced Manchester City defender Kolo Toure would be joining the club on July 1st on a free transfer.